Mr. Maximillion holds court on a stump in Charles Whiley’s studio. 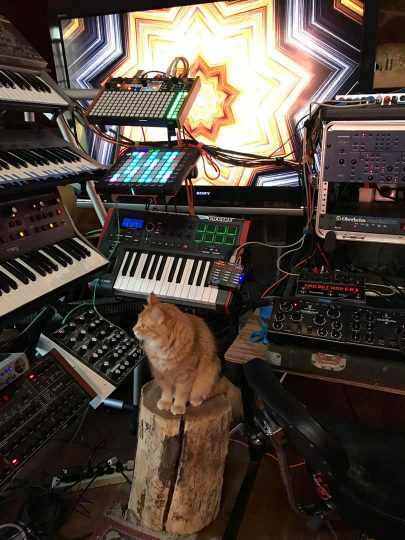 Posted on April 8, 2019 April 8, 2019 by catsynth	This entry was posted in Cats, Synthesizers and tagged cat, charles whiley, mr. maximillion, studio cat, Synthesizers. Bookmark the permalink. Awww, aren’t you handsome Mr. Maximillion! Are you conducting? MOL! He’s a pretty cool kitty. Wow, this is super cool! Maximillion looks like a rock star!